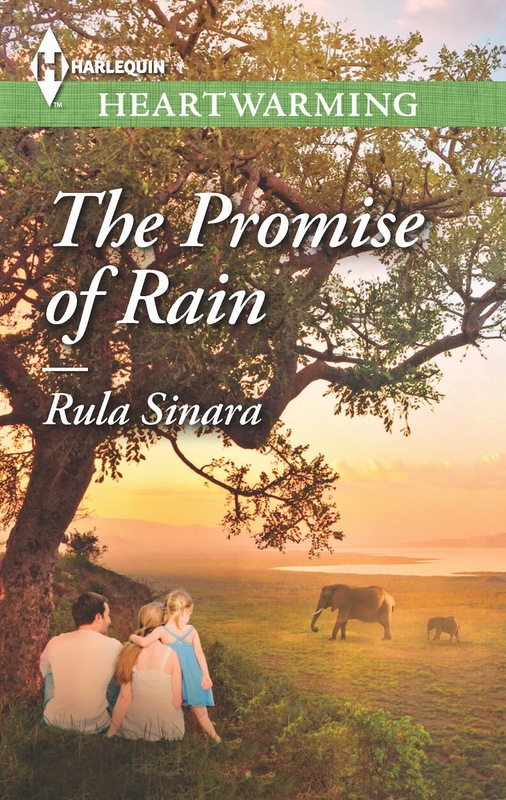 Today we’re celebrating the January release of The Promise of Rain by Rula Sinara! Grab a comfy chair, a cup of coffee and get to know more about Rula and her debut! So, Rula, where did you get the idea for this novel? This was probably the fastest story idea I ever came up with…but the longest brewing. Did that sound contradictory? You see, the major elements of The Promise of Rain sprang from a culmination of aspirations and experiences in my life, such as living in Africa and, later, working with wild animals. The story was in me, simmering since childhood so to speak, but it didn’t bubble to the surface (rather explosively) until I arrived at the 2012 RWA National convention in Anaheim. I almost backed out of going to that meeting and I’m so glad I didn’t. I had a submitted manuscript I hadn’t heard a thing on, nothing new was in the works and I was in a confidence slump. The first evening there, I had dinner with my dear friend and mentor, Superromance author, Jeannie Watt, and her daughter. I was talking to her about what I wanted to do next, and out of nowhere the idea of writing a story about a veterinarian in Africa came out of my mouth. That was all I had. No plot. Nothing. But I remember telling her about all the experiences I had that I thought could enrich the story. 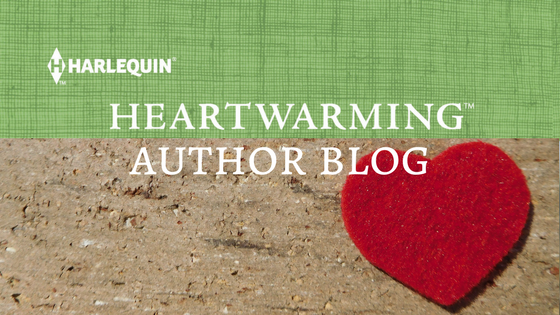 Fast-forward a few days to the Harlequin Heartwarming Open House…something I hadn’t heard of, but Jeannie had. I credit her with getting me there…and leaving me there. Yep! I had no idea there was going to be a pitching event where 5 pitches would be chosen. Jeannie said I couldn’t leave without pitching at least one idea, and that she thought I should try the one about the vet in Africa I’d mentioned. Then she left! Yikes! You know how much we all agonize over elevator pitches? I had nothing (but a good dose of panic). But I stayed and forced myself to come up with a pitch for that mere seed of an idea. A few weeks later, Victoria contacted me and told me that pitch was one of the five chosen…and the rest is history . Let’s see…(pulls out calendar). On August 22nd (after Nationals) I got an email from Victoria letting me know the pitch was chosen and requesting a full (I’d submitted to her before, for Superromance, so she was familiar with my writing). I gave myself the rest of August to brainstorm and began writing in September. I’d told her that I could deliver the manuscript in January (note: I have 3 kids, so not every minute was spent writing, and a few days here and there were missed because of ‘life’). Anyway, I gave myself 5 months and on the day I was supposed to hit send, I woke up to 2 feet of water in my basement (post storms) that resulted in no heat, no power, no water, no phone, no internet and anything else you can imagine. I was so afraid she’d think I’d flaked out on the submission! But after a few days I was able to email Victoria and she was so kind, supportive and understanding. Thank you Victoria! The book was written (effectively in 4 of the 5 months), but I ended up sending her the full Feb. 22nd because it took that long to get the house under control. Ten days later, she called with a major revision request. I turned it around in 10 weeks…and 3 weeks later, on May 31st, 2013, I got The Call. Tell us briefly about "The Call!" Um, totally unexpected? LOL. Do they always come right when you’ve convinced yourself that you didn’t pull off the revisions well enough and blew your chances at getting published? . I was totally flabbergasted. I tried to act cool and professional, but I’m pretty sure, after we discussed details and a few more minor revisions, that I started mumbling non-sense. Seriously. After hanging up, I stopped pacing and thought, ‘Did I really tell Victoria that I just got baby guinea pigs??????’. I was pretty sure I’d get an email saying never mind LOL! In looking at the cover, if you could add a caption or captions, what would they say? There are many, but one I really love takes place at a Masai wedding. The Masai people are such a beautiful and intrinsic part of Kenya’s Serengeti. I loved researching and incorporating their colorful dress, way of life and rituals into the story. It’s also a favorite scene because it’s where my hero, Dr. Jack Harper, really begins to form a guy friendship with heroine Dr. Anna Bekker’s Kenyan colleague, who helps run her elephant research and rescue camp. Jack doesn’t have a lot of close friends, so this scene marks a subtle change for his character…one that also helps connect him to Anna’s world. Tell us one thing you learned during research. I learned about the David Sheldrick Wildlife Trust and the incredible work they’ve done to conserve Africa’s wildlife, including elephants. You can read more about them and see photos at http://www.sheldrickwildlifetrust.org/. I read the National Geographic magazine, and I think it was a sign that, while writing this book, I came across the September 2011 edition tucked under a stack of magazines in my living room…and it included an incredible article on the David Sheldrick Wildlife Trust’s work to save orphaned baby elephants. It breaks my heart that poaching—of any wildlife species—has yet to be eliminated. The photos I saw during my research were just devastating and unfathomable. What music would match the mood of this novel? I noticed you said ‘mood’, not theme song. I like that twist! Music is such an important part of setting the mood in movie making, it’s interesting to think of it in terms of a book. I’d say anything with an African rhythm would fit the mood of The Promise of Rain. Depending on the scene, the music could change from the fast beat of one of the many types of drums used in Kenyan music, to the softer, gentle sound of the Nyatiti, an instrument that’s much like a lyre. The Promise of Rain is the first standalone book in a series of three that were contracted when I got The Call. All three revolve around the same community of family and friends readers get to know in The Promise of Rain. I’m currently working on book two…and I’m going to keep the H/H of book two and three a secret just a bit longer. I know. I’m mean. But whenever I read a book in a series, I like guessing who the H/H are going to be in the next book. Sometimes, the author takes me totally by surprise ;). What exciting times! Enjoy. The book sounds so good. I loved this interview, Rula :) I learned so much more about your path to publication and your wonderful novel! Congratulations! I just received my copy in the mail today! I cannot wait to start reading it, looks so fabulous! Congrats Rula! Thanks, Desere! I'm so glad it got to you safe and sound. I'm always worried about things getting bent or crushed in the mail lol. I hope you enjoy it!! Gosh, Amy! I had no idea you were in the middle of it! It still hits me as strange knowing my book is being read LOL. I know you understand debut sister ;). I'm so glad you like the characters! Whew! I'm starting The Weather Girl this weekend and I can't wait!! Roz, those TBR piles can get out of hand, can't they? LOL. I'm going to have to give in and get a Kindle so that I can read when I'm waiting to pick up kids and times like that...otherwise I'll never catch up! I'm just reading this blog now so nobody will probably ever read my comment...but heck, Roz, you have the worst luck with getting your books!!! I hate that. If you do see this, can you email me when you get them? GREAT interview, Rula. You're welcome, Mel! And thanks!! Rula rules! (I'll bet I'm not the first to say that.) Am anxious to meet my Feb 1 deadline so I can on to fun stuff, like reading your book. But you and the book sound so interesting! Congratulations again! LOL, Muriel! I make my kids say that daily lol...just kidding ;). You reminded my of my elementary school math/science teacher who was British (I was at an American school in N.Africa) so whenever he said Rula, it sounded like Ruler. I kept getting up and handing him my wooden ruler thinking he'd misplaced his for math class and was asking for one lol. Thanks for your sweet words! Thanks, Dana! And welcome to the group! It's great to have you here. 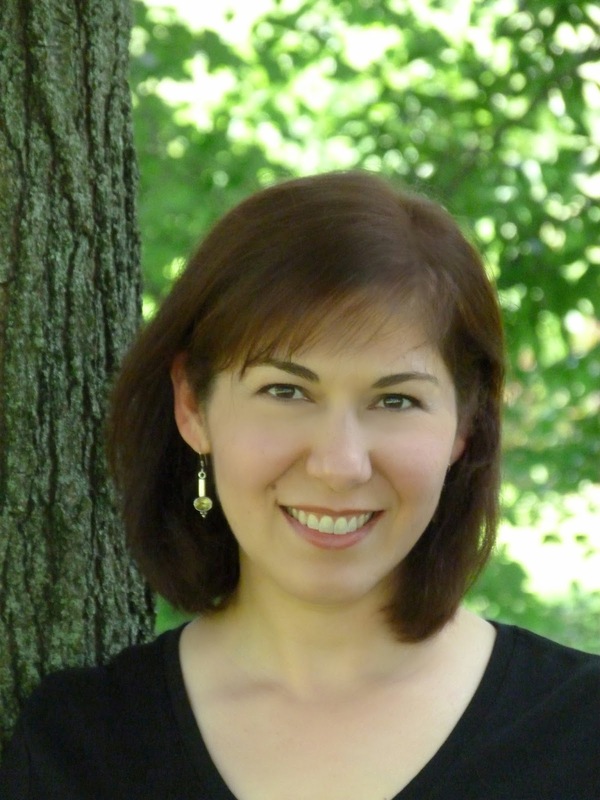 Everyone, if you missed it, Dana is our latest Heartwarming author joining our blog! How cool! You know, I think we met. I was at that meeting in Anaheim. I was taking pictures with my phone LOL. I'd already sold to them, had just met Victoria for the first time, and was thinking about creating a blog. I took a picture of someone writing her pitch while sitting on a round table. Ha! Pam. We may have indeed met! How funny is that. I probably was too nervous to remember faces lol. I actually tried to back out of the pitch by telling Jeannie I couldn't think in a noisy room. She told me to sit in the hall. I did. She's a teacher and knows all about how to deal with excuses lol. I sat in the hall and eventually migrated back into the room when the crowd thinned ;). Too funny that we were in the same room.